The small town of Creston, Iowa is home to Logan Kinyon. Born into an agriculture rich community, Jamie and Lori Kinyon raised a strong-willed, hard working cowgirl that grew up competing in the American Quarter Horse Association and the Iowa High School Rodeo Association. Logan now enjoys competing in local barrel races and traveling to rodeos to support her younger brother, Trevor. When not traveling to rodeos, she likes to read, fish, paint, and spend time with her many animals. Logan holds a Bachelor of Science Degree in Agriculture Business from Northwest Missouri State University and now works as a substitute teacher. Someday, she would like to use her knowledge of animals and the agriculture markets to own and operate her own feed store. Logan is honored to earn the title of Miss Rodeo Iowa. As Miss Rodeo Iowa, she will travel approximately 30,000 miles both in and out of the state. Through her travels she will focus on promoting Iowa agricultural, rodeo & educational opportunities for young women. During her reign she will attend rodeos, fairs and parades, as well as visit schools, hospitals and the elderly. Logan will conduct radio, television and newspaper interviews across the nation. In December of 2017, she will represent Iowa at the Miss Rodeo America Pageant in Las Vegas, NV. 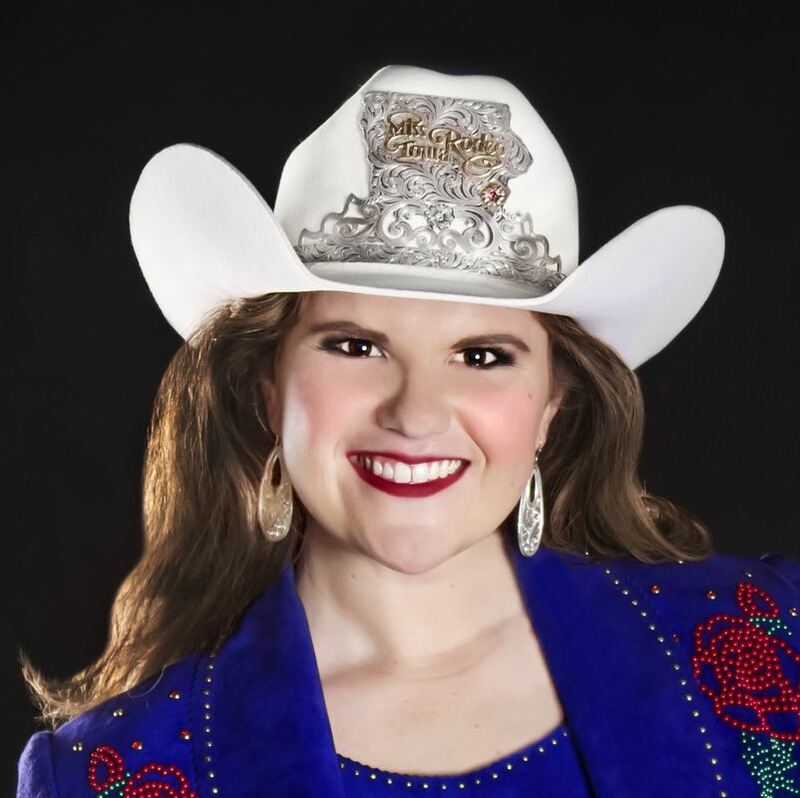 During this pageant, Logan will have the opportunity to vie for the coveted Miss Rodeo America title along with over $100,000 in educational scholarships and other awards.